Mayer Building Company, LLC is a New Orleans builder and general contractor offering commercial construction and historic renovations, as well as hospitality, retail, office, and design/build services. Our successful retail projects include Joseph, Pied Nu, Sunday Shop, Pilot + Powell, Simone’s Market, G-Star Raw, two Lush stores, two Michael Kors stores, one in Canal Place one at Lakeside. Among other projects, Mayer Building Company recently completed the French Truck Coffee shops on Magazine Street, on Poydras, and in the French Quarter, a mixed-use commercial/ residential building at 4901 Magazine Street, and a law office at 4905 Magazine Street, a 14,000 square foot contemporary office building on Oak Street, a full finishes renovation to a 12,000 square foot commercial property in James Business Park, and many French Quarter condos, homes, and condo common areas. Mayer recently completed the finishing touches on Belladonna’s overhaul which includes a new apartment building with spa amenities, a new spa entrance, tea garden, clinical and relaxation areas. Ryan’s personal portfolio includes renovations at Le Petit Theatre, Harrah’s Casino, the Baryshnikov Dance Studio and the Matthew Williamson flagship store in Manhattan, and numerous French Quarter properties. 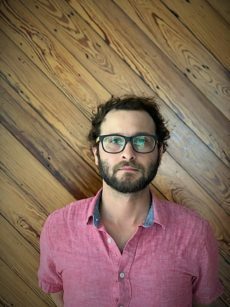 Although Ryan graduated from Jesuit High School and the University of New Orleans, he spent seven years as Project Manager for various commercial projects in New York City. Many of the projects he completed were for high-end custom retail shops in the famous SoHo and Meatpacking shopping districts. During this time, Ryan learned about modernizing the interiors of 100-year-old buildings while preserving historically protected facades and setbacks. Ryan has also safely completed the finishes for luxury tower condominiums and built out-of-the ground steel and concrete buildings. 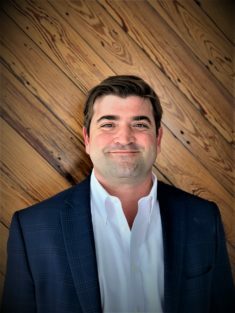 In addition to being an experienced framing and millwork carpenter, New Orleans native and University of Alabama graduate Fred Goodrow is also a proven leader. Fred excels at client communication and not only understands the goals of each project but also delivers on the details. His resume includes several full renovations in the French Quarter and custom millworks for business owners throughout both Orleans and Jefferson Parish. In his MBC career, Fred has sucessfully completed over a dozen renovations on Magazine Street alone. Fred runs the day-to-day operations of Mayer Building Company, implementing the tools of supervision and foresight to execute our projects. He knows the importance of getting work done swiftly and correctly. Fred can be reached at [email protected]. Beth Hall, a Mount Carmel alumna, was a member of the upper management team at Reginelli’s Pizzeria for years. 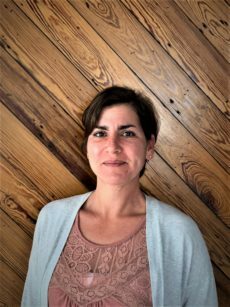 Armed with the experience of negotiating the myriad of personalities involved in managing a successful restaurant in New Orleans, Beth is a perfect fit for operating in the frenetic pace of active construction job-sites. From a rough-and-ready day laborer to a fervent official project owner and everything in between, Beth has the business acumen and poise needed to communicate effectively with everyone. Beth’s multitasking and organizational skills are essential to this vital element of being a great General Contractor. Ben Belou, a Brother Martin and UNO graduate, cut his construction teeth working for BelouMagner Construction as a carpenter, framer and all-around technician. Ben’s depth of knowledge of technical construction elements and skill drive excellence in finished projects. Ben’s amiable nature and approachability keep an active jobsite humming. Few are the fireworks at Ben’s projects. When not superintending MBC’s most high profile work, Ben plays bass guitar and spends time with his family.